Stuart enjoys property management. This reflects in his calm, but direct approach that ensures the best outcomes for his clients. 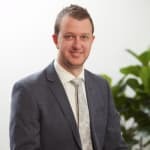 With a back ground in formal education and retail sales, Stuart has developed a strong ability to listen to, identify and tailor solutions to meet his client’s requirements. Stuart Hassett doesn’t currently have any properties for rent on Homely.